The wild rumpus has begun! I made my first trip to the greenhouse for the season, and my second. Where I live, it’s time for the pansies to brighten up the yard as the spring bulbs rotate through their annual splendor. 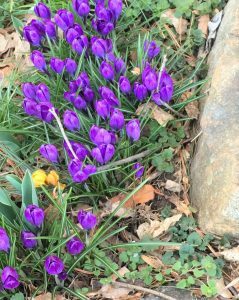 Not such a good year for daffodils (so far), but the crocuses have been magnificent. In honor of a milestone birthday, I finally bought some flowering trees, and the nice fellers are going to plant them for me next week. Nobody else in my large family goes bananas over yard flowers the way I do. My parents considered the yard a place that had to be mowed, period. None of this weed-whackin’, yard proud, keep up with the Orndorff’s, stuff. We had a three-acre property, so mowing was a big job (and riding mowers were for wimps, in my dad’s opinion). Mom had house plants, but she didn’t really do much outside other than a rose bush by the front door. The yard flowers are my thing, and always have been. 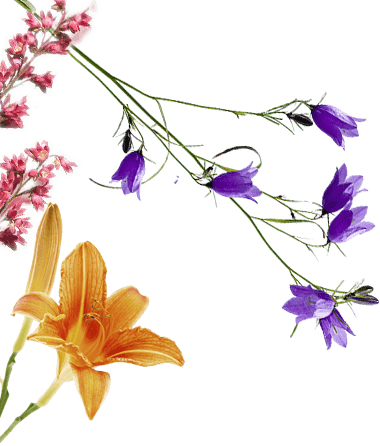 As a kid, I’d ramble through the woods and pick wild flowers, considering any bouquet with less than six different species a lesser effort. I love the fragrances and colors, but flower-gardening has other attributes of My Favorite Things. Yard flowers are for pretty, and they get me outside into the fresh air. They make other people happy, even if it’s only in a fleeting, “Must be retired people living in that house,” way. I can undertake this activity by my little self, and I don’t have to leave the property to do it. Better still, nobody ever said to me, “I bet you’d enjoy stuffing hundreds of bulbs into the dirt.” I stumbled upon this joy all on my own. Another aspect of yard-flower gardening that appeals to me is that it’s playful. Humans are the only species that stops playing in adulthood, at least in recent history, (and look how well that’s turning out). I would rather be like my cats and horses, having a morning yard-frolic on pretty days, messing with bouquets, and hearing the birdies sing. I do have a rule–I can’t buy any flowers until the ones I already have are planted– but other than that, I’m loose without supervision. Do you have a way to play that’s all yours? A frolic with no agenda other than your own joy? To three commenters, I’ll send signed copies of When A Duchess Says I Do (anywhere in the world), which goes on sale Tuesday. 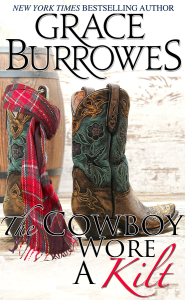 If you’d like a shorter read to tide you over until then, I’ve put my novella, The Cowboy Wore a Kilt, on sale in the website store and on several major platforms. My planting days are over. I have some perennials in my yard. Some I planted and some that were here before I had the house. I supplement them with potted plants on and around my porch. 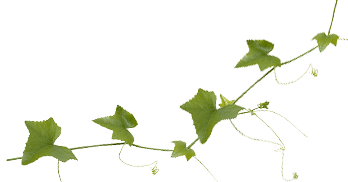 I especially favor the plants that draw butterflies and hummingbirds. What beautiful little creatures they are. I don’t think I ever enjoyed the planting itself as much as you do. But I ALWAYS enjoyed the results. I was near my go-to nursery yesterday and I didn’t venture in. It’s cold and raw here in Chicago and I just didn’t want to buy something I wouldn’t have time or desire to plant right yet. I haven’t thought about flowers yet and I do love flowers! We are probably a few weeks behind you, weather and spring-wise. I enjoy planting things. We planted a LOT of hydrangeas last year so am curious to see how they survived the winter. But until it’s a bit warmer, I will take the typical Chicago stance for this time of year; it’s too cold! I can relate to your joy with flowers. I enjoy them but I do most of my “playing “ by feeding the birds. I love to watch them and find it quite relaxing. I also enjoy watching college basketball games. It’s too early to plant outside. I can’t wait to get some geraniums and pansies. My favorite ‘Bring on Spring’ tradition is to wash the corgis and get rid of their winter coat. Today, 12 year old sisters Beanie and Rose got there baths. They look and smell great. Both are mad at me because they are clean! I am switching out my winter work clothes for lighter Spring ones. Loving that it’s light when I get home! Take care— Can’t wait for my Amazon package! I also love flowers. Love them! The bunnies took out most of my seedling sweet peas (which are my favorites). And I don’t have much of a green thumb anyway. The gardenia didn’t make it, and the bulbs had an indifferent showing. But I have some great roses, and it’s just about time for petunias, and the begonias may pull through. My mother has quasi-magical powers with houseplants, and my father’s penchant for growing flowers is legendary. I have all of the love with very little of the ability. But in the kitchen? I do a bit better there. I loves me to try a new recipe. I cook. I bake. I shop farmers markets for new, exciting ingredients, and since we are so multicultural, I usually find something novel. Since the arrival of the girls, I’ve not had the chance to do this as much, but I’m slowly getting back to it. And then reading. Reading is play. And with a two and four year-old, there’s plenty of actual hide-n-seek-peekaboo-tea-parties-with-the-my-little-ponies play happening. And tag. And kite flying. And trampoline jumping. I think I don’t play enough, but I do get joking around and playfulness in my days fairly consistently. I’d love to figure out a way to work more games and silliness in, but with kids they make sure I’m getting at least some. “Playing” team sports has always felt like work to me, I wish there was one I could do with a cup of tea in one hand! I must admit that I had to learn to let go and play as an adult. Somewhere along the line, I forgot how to just let go and be in the moment. I now use my nieces and nephews as my yardstick for play. For my own enjoyment, my play is amateur wildlife photography. I live on a game farm in South Africa, so finding a giraffe at my gate is the usual. Lucky me. Enjoy your gardening. Happy Sunday! I consider my limited arts and crafts and my letter writing a form of play. The letter writing is a form of grown up telephone. The arts and crafts are a way to try to make something while laughing and getting my hands messy. Reading is my delight. Thank you for your great books! Have a blessed day! I use to love playing in the dirt as a child. I think I enjoy vegetable gardens the most (practical lol). I use to do a lot of crafting and I’ve always loved games of any kind. If I can’t get together with family or friends, computers and cell phones have all kinds you can play with others or yourself. And not to forget reading (that is play to me) or my furry friends!!! My playtime is getting my flowerbed ready for new flowers and playing with my three dogs.I would love this book. I guess FB is sort of my play these days. I like FB’s games – mostly the really easy ones, hidden object ones, word games, fake slot machines, and fake BINGO. I’ve gotten a little into doodling thanks to all the pins on my Pinterest board that give me ideas. Although, I’m wanting to call doodling a skill now that I read it’s the new best practice for taking notes! Also, I’m having fun playing with the fidget tools I’ve been buying and making for kids with sensory issues. I find I’m really enjoying them. Been thinking about buying a weighted blanket too. You know, Grace, I think maybe I could get into digging into the dirt too. Funny how all those childhood experiential learning past times are all fascinating again. I definitely need to spend a little time with my 3 year old nephew – I think we’d have a blast. I do love flower gardening too. 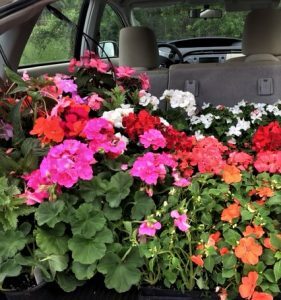 I usually have several hanging baskets on my back deck and containers sitting on the deck. I plant different things every year, just to try. I also have a few old faithfuls though that I just can’t do without. I don’t plant as much in the yard anymore. Between the dog digging and my husband mowing, plants in the yard are in constant danger. I’m always looking for that first bloom, so exciting! I’ve always wanted to be part of a synchronize lawnchair brigade. I remember them from Fourth of July parades when growing up. Total silliness and a lot of good exercise. After collecting old fashion, webbed aluminum lawn chairs for years, I gathered together a few friends last fall and we made a go of it. Our brigade continues to grow. Mostly made up of women, we spend our evening practice times laughing and enjoying life. We have made people smile at several community events already. It’s a dream come true. Thanks for sharing and reminding me to play. I’m going to do it. Dancing too. 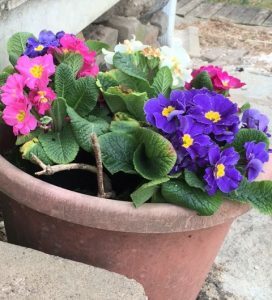 My two sister’s and I inherited my maternal grandmothers love of gardening… skipped our mother. I save my birthday money each year in order to buy new perennials and annuals! I live in southern Wisconsin so our yards are still a mess. You can see daffodils trying to push up through the leaves and mulch. Can hardly wait. I’m also a huge sports fan – Badger football, Green Bay Packers, Milwaukee Brewers! Big kid at heart. Would love to read your latest book on my family trip next month! I have house plants that spend the warmer months on my porch. I also have hanging baskets and planter boxes on the porch railings filled with annuals. The perennials are in front and behind the house. In the backyard are rose bushes and an herb and tomato garden. My husband once driven home from a meeting at church and the man who drove him wanted to know why the porch looked like a jungle. I get my love of plants from my grandmother. All her plants, indoors and outdoors thrived. She could start plants from a cutting. She saved a lot of money by asking friends and family if she could have a cutting of a shrub or tree. I decided one year that I wanted to have an orchid. My husband and son bought one for my birthday. Our house rabbit kept grabbing it and pulling it down. It was dead a few weeks after I got it. A replacement orchid showed up and was placed out of rabbit reach. It took three years to bloom again, but now blooms regularly. My goddaughter bought me an orchid after I told her about the rabbit killing my first one. Hers has now bloomed with two flower stems this year. My current house rabbits have forced me to surround my house plants with an ex pen, otherwise there wouldn’t be any leaves left on the plants. I always used to buy a lot of flowering plants at one time. Some would die before I planted them. Now I buy them in smaller numbers so if something happens and I do not get to plant them then I will not loose very many.This year I may put more emphasis on planting bulbs in the fall.I have tried planting forsythia bushes but I never seem to be able to keep them alive.Lately there have been an explosion of deer in my suburban neighborhood so I will have to plant only ones that deer do not like. I love to cook! A new recipe is always a pleasure. This week I made African-Inspired Quinoa Peanut Soup! YUM! Next is Butternut squash and orange soup. (I have a new soup cook book) My husband enjoys the variety. When the weather is cooler I like baking, friends get the surplus! I’m not much of a spring person, but have decided to try a little gardening. We’ll see how it compares to fall gardening. Hoping my small flower bed doesn’t go into shock! I’m a flower planter, too. Roses, clematis, pansies, petunias, begonias and a whole bunch of flowering bulbs. Still haven’t solved the shady, dry spot on the north side of the house. Maybe this year I’ll figure it out. Still rather early for all of this in the north where I live, but I can’t wait to get started!! The main thing I do for my own enjoyment is reading – of course. I am definitely not an all work no play type of person. I always make sure to do things I enjoy, in the kitchen, outside, playing with my four kids or driving my husband crazy lol. I get lots of play time. I have little ones that I play with and I enjoy swimming at the Y with my older kids. I should say I never read your books but, I can not lie! I read every last one!! I am one of your best fans! The number one !! I can’t wait for your new book to come out!!!!! I buy flowers are the grocery store and put them in my bathroom. I currently have a bouquet of fat coral roses. I am affectionate with the cats and dogs. My husband is more likely to play with the fur babies. I need to think on this one. I like to climb up into the attic when it’s Spring. It’s not too cold and not too hot up there. I enjoy looking through “stuff” and sorting through boxes of pictures and the kids’ school art I saved. I don’t think I agree that humans stop playing. That’s what hobbies are all about. Granted, it’s more difficult to find time for them and they tend to be less active than childhood play time, but many adults are involved in recreation sports leagues, paintball games, play endless hours of video games, exercise (and actually consider it enjoyable), quilt or sew, bake, or do other, quieter forms of play. Of course, I always preferred a book to play time so my life hasn’t changed much. I learned to play again because of my 4 year old great nephew. I forgot how much fun there is to be had until he came along. Looking at the world through the eyes of the little ones! I agree with you about the flowers. I have numerous pots in which I plant flowers and place them on the front porch and back patio. It’s time for me to visit the greenhouse and try not to go overboard (which I usually do and then try to fit all the plants in the car!). Beautiful time of the year so we need to enjoy it! We are surrounded by state forest so the grazing critters make ornamental planting a exercise in futility. That said, I have two stone planters that my husband’s mason grandfather built in the early 1920s that I fill with geraniums each Memorial Day. My grandmother always had geraniums at her front door in season so we are reminded each summer of them both as we come and go and as I relax and read, my favorite pastime. I don’t have the patience for gardening. I actually don’t do too much playful in my own space. I am starting to pare down, so the no practical items are often the first To go. Ian finding it restful though. Love playing volleyball in the pool over the summer with our friends, since we are all in our 50’s and 60’s we end up laughing more than playing. My playfulness these days is mostly joking around with co-workers and friends. I love all your flowers!! I always have big planting and in the spring and it only gets half done. I’m in Texas and I love this time because bluebonnets are popping up everywhere and they are gorgeous!! I like to plant Lily’s (and they come back yearly) also strawberries!!! We do jalepanos but they are soooo spicy homegrown!! My apartment is on two levels,I go down some steps to a basement area where all my flower pots and tubs are displayed which leads to my front door.The postman enjoys delivering the mail especially when the flowers are in full bloom.It reminds him of Italy and Spain he says.When I look out of my lounge window which is on the second floor I see the garden that I share with my next door neighbour.We both enjoy gardening so between us we have created a lovely area of color and perfume.In the summer we can sit and relax,enjoy a cup of iced lemon tea or whatever we fancy,listen to the sea lapping on the shore(we can’t see the sea because a block of flats have been built on the seafront but it is just a two minute walk and we are on the sea wall).So Grace this is my bit of heaven ,it’s mine mine mine.I am so fortunate. I often will be reading several novels at the same time. (usually five). Somehow, I am able to pickup the storyline. Here in the U.K we must wait till April the 30th for the release of When a Duchess says I do.I am biting at the bit,it seems far away and I am behaving like a brat,I want it now.So I can’t have my way what else can I do?,I know I will read your first books again and see how far I get! 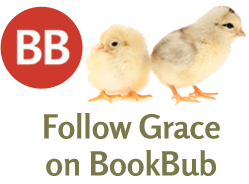 !.Must have my Grace Burrowes fix.I have much to look forward to this year you have written so many books.You spoil us,all the while you enjoy writing that is a good thing.We can keep up! !.But don’t forget to take care of yourself and not to go on overload just because of us wanting more and more of your special books.Thanks. I’d have to say my primary playtime is reading – especially your books, Miss Grace. My second form of play is ballroom dancing. Social ballroom dancing. None of that serious faced, gotta be perfect stuff for me – I’m smiling whenever I’m dancing. I’m lucky to have a wonderful dance partner – all I have to do is follow his lead and he sees his job as showing off the lady. Win-win. I have always loved romantic novels..a lovely step back in time or into another one’s shoes. I also “see” a dearly loved granddaughter whose happy place is her computer with a chair to be in! I understand your love of flowers (bulbs and more)! Those bulbs in their own packages are just waiting to reveal color and my happy place is anywhere there is gorgeous rioting color! For I then can capture and blend those colors on paper or canvas. Keep creating your stories. I love them.